Two former Trump campaign staffers announced -- separately -- the birth of their child, the product of a campaign affair. A.J. Delgado, who was an adviser to the Trump transition, gave birth to a son, William, in July. She tweeted about it earlier this week. 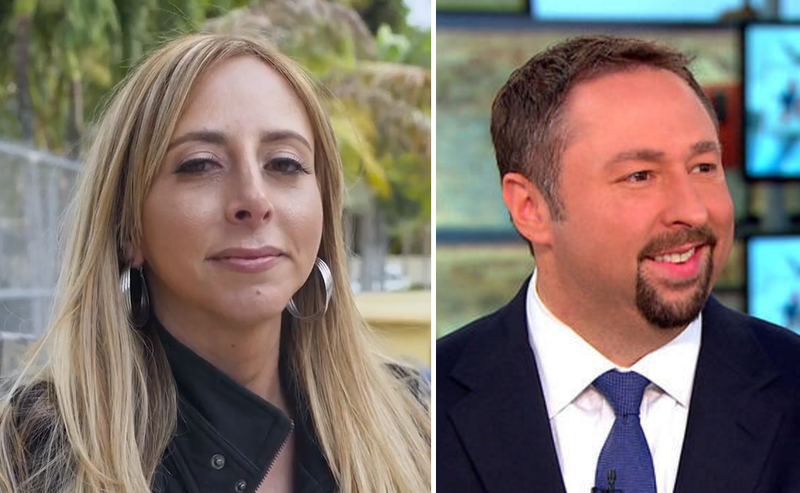 Then, the New York Post's Page Six first reported that the father of the child is Jason Miller, a married Trump campaign spokesman, who said in a statement, "My wife and I, along with our two daughters, are excited to welcome William into the world and into our family, and we appreciate the well wishes we've received from so many." This apparently came as a surprise to Delgado, who indicated that she had not been contacted by Page Six. She then tweeted that she and Miller had dated for two months during a period when he said he was separated from his wife. Delgado tweeted that Miller's statement to Page Six was "news to me." She also tweeted, "Actually the father did not/has not sent the child even a $1, or a single gift/item. I have had to pay for/cover everything myself. Cheers." And while the New York Post may have been the venue for Miller's statement on the story, Delgado said she'd be giving her side to The Atlantic. Miller, who was then-President-elect Trump's first choice to be communications director, was appointed to the position in December and withdrew two days later, saying wanted to spend more time with his family. "After spending this past week with my family, the most amount of time I have been able to spend with them since March 2015, it is clear they need to be my top priority right now and this is not the right time to start a new job as demanding as White House Communications Director," Miller said in December in a statement.